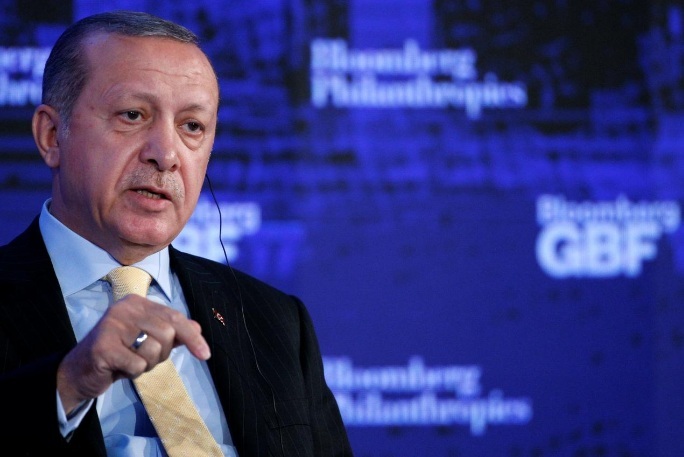 Turkish President Recep Tayyip Erdogan speaks at the Bloomberg Global Business Forum in New York City, U.S., September 20, 2017. ISTANBUL/BEIRUT - Turkey said on Saturday that it and Syrian rebel groups it backs are starting a military operation in Syria’s Idlib, where a jihadist alliance is blocking efforts to impose a truce between insurgents and the Syrian government. Turkey said on Saturday that it and Syrian rebel groups it backs are starting a military operation in Syria’s Idlib, where a jihadist alliance is blocking efforts to impose a truce between insurgents and the Syrian government.